Yes, thats they key to so many sauces isn’t it, that mix 😀 green sriracha…? Interesting.. Thanks Sally, looks good. I would be one of those Sriracha lovers and there is another grilled chicken recipe using it on my grilling to do list this summer. DH doesn’t like much heat so the recipe has a mere 1 tablespoon as well as 1 tablespoon honey which pretty much balances it out. Sriracha on the grill. Heaven. Gets all caramelized and fantastic. Love it. We are huge fans of Rooster sauce in this house, all the way around! But Cholula runs a close second. 🙂 Great recipe! I am a huge fan of Sriracha. We actually have a factory here in southern California for Huy Fong Foods Sriracha. Even though I own an excessive amount of hot sauces, this is the one I always reach for. The hot and sweet together is delicious. 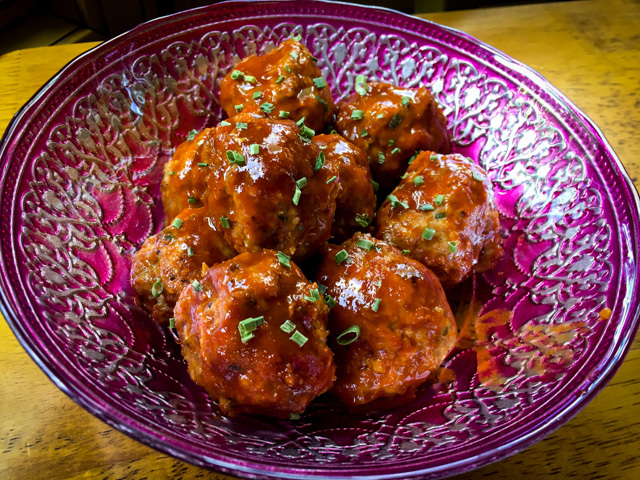 These meatballs are gorgeous. Nothing wrong with keeping them all to yourself!! Quite my kind of recipe tho’ I may actually change the sriracha for the local chilli sauces normally within reach. 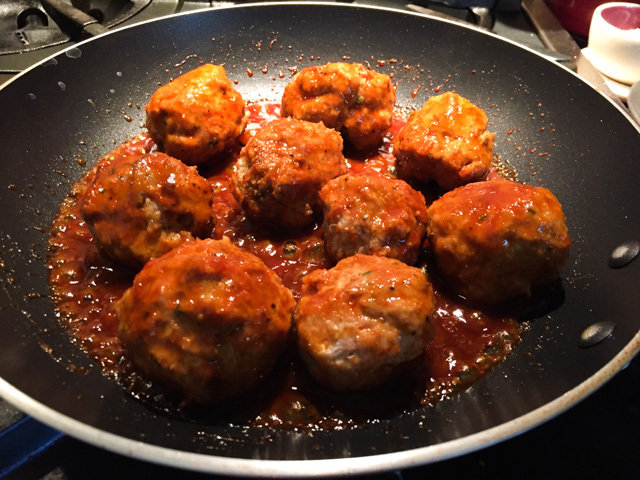 Love the use of almond flour in the chicken balls: surely have to copy that 🙂 ! Do agree with the meatballs and -patties being cooked in the oven . . . on the list for later in the week . . .